Hennis Upholstery is a family-run business owned by brothers Kevin and Leslie Hennis. We work with clients and designers across Surrey, London & Kent. Whether you're looking for bespoke furniture, restoration and upholstery, or made-to-measure curtains, no job is too small! We have worked together for over 30 years, and bring a wealth of experience. We have a 100% customer satisfaction policy, and make sure we're working to exactly what you need for your home. We have a professional collection and delivery service. We are recommended by Laura Ashley for upholstery and curtain fitting, and have worked at Virgin Airways Heathrow and Gatwick. We have also worked for the Queen at Windsor castle! Contact us today to discuss your ideas. 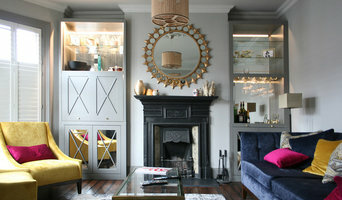 Bespoke Furniture Manufacturer based in London. Our award winning team works with wide range of materials: solid wood, cement, stone and petrified wood. We are the only company that can offer custom made items from petrified wood in UK. 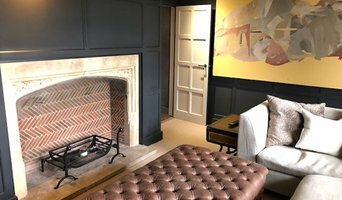 www.sofasandstuff.com - Handmade, bespoke furniture - We have 12 wonderful showrooms to visit - British made - Any fabric IN THE WORLD!!!!! 'Sofas and Stuff' can create your dream sit! We can cover your sofa in any fabric in the world... The options are endless... Founder Andrew Cussins and his family have been making beautiful furniture for nearly 70 years. Sofas & Stuff is their latest adventure, founded seven years ago. We firmly believe that most people like to get a feel for their favourite fabric and gauge the comfort of their sofa or bed before they buy. Because of this we have 12 gorgeous showrooms across the UK, filled with sofa experts to help you find your perfect Sofas & Stuff product. Alternatively we have our fantastic website that with one click you can order your dream sofa. All of our sofas and beds are made in Nottingham and Preston and can be made in any fabric in the world and masses of size options. We work with both interior designers and homeowners to help you find the ideal piece of furniture to suit your interiors. "Button & Sprung is like buying a 5-star bed from a family run shop were you know who you are talking to, and people take responsibility for getting you the best bed for you." - Client in London, November 2017. Buying a bed and mattress is a big deal - we don’t do it very often. Get it right, we enjoy hours of glorious sleep; get it wrong, we regret it for years to come. Bed buying is also made really hard by many retailers: endless and confusing choices, irrelevant features and options, fake price cuts and incentives, sales people biased by commissions and return policies and guarantees that are riddled with catches and caveats. At Button & Sprung, we promise to make buying a bed or mattress as easy as possible for you - if you buy from us, we promise you a very high quality product at a fair price, and a stress-free experience from beginning to end. We’ll even give you three months (100 nights) after delivery to change your mind, with free collection and a full refund. Visit our website to view our handmade, high quality natural mattresses, and upholstered bed frames, divans and ottoman beds in any fabric, at great prices. Why should I use a Biggin Hill, Kent furniture designer or home accessories professional? Think about what pieces you need or what your vision for the overall look of the room is. Do you have very specific ideas for what furniture you’d like or do you just know the colour palette or the basic type of furnishings and accessories you want? If you have very specific ideas it could be an option to look at Biggin Hill, Kent bespoke furniture designers and makers. They will work with you to produce one-of-a-kind pieces to make your ideas come to life. 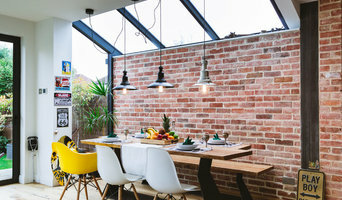 Otherwise, it’s a fantastic idea to hire a Biggin Hill, Kent home furnisher to help you choose furniture and accessories to work with your interiors. Professionals with years of experience will have a great eye for picking out the right pieces based on your brief and your room design, saving you the time and stress of hunting down the pieces yourself. However, when not constrained by time, some homeowners can really enjoy the furniture hunting process. Tracking down unique or vintage home furnishings from furniture manufacturers, retailers, car boot sales, showrooms, auctions and home furnishing stores in Biggin Hill, Kent can be a real thrill, especially when you find exactly what you were looking for or perhaps something completely unexpected but brilliant nonetheless! If your budget can’t stretch to bespoke, designer or professional-picked pieces, this is also the best and most convenient option. Try browsing through the collections from a furniture manufacturer to see if they have any styles you like, or scour secondhand furniture shops and auction houses if you’re after something with a history. It’s not all about the furniture, though. Your home accessories can provide the finishing touches to any room in the house. Table lamps, plants, cushions, rugs, candles, ornaments, artwork and picture frames are just a few of the accessories you can use to round off the style of your room and add personal touches. It’s easy to find ideas for these smaller furnishings with plenty of Biggin Hill, Kent home furnishing stores and their products listed, as well as the furniture designers, manufacturers and makers. Find Biggin Hill, Kent furniture designers and accessories manufacturers, showrooms and suppliers on Houzz. Narrow your search in the Professionals section of the website to Biggin Hill, Kent furniture and accessories, then choose the nearest area for showrooms and retailers. 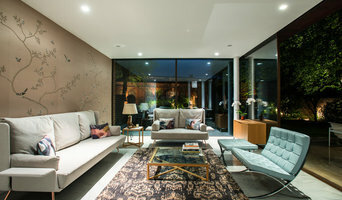 Or you may want to look through Biggin Hill photos to find furniture designs you like and contact the furniture manufacturers and showrooms directly.